Lack of proper management of resources by governments in the country is the major cause of repeated draught and hunger cases in the country, Seventh Day Adventist Church Ranen Conference President Bering Ngore has said. Ngore said Kenya is not a poor country for citizens in different parts of the country to experience draught and hunger each year. The Ranen Conference President said it is sad that citizens were dying of hunger yet Kenya had resources that would sustain the country’s population are the excess sent to other countries. “I want to remind the citizens of Kenya and the leadership of Kenya that Kenya is not a poor country where we should realize such kind of starvation that is taking place in Turkana,” Ngore said. He said County governors had not taken time to set their priorities right to address issues affecting the common mwananchi as well as looting of public resources. “You find that in some places leaders begin by addressing minor problems while ignoring major problems affecting Kenyans,” Ngore said. Ngore urged Counties to plan ahead to help plan for disasters and emergencies in their areas. 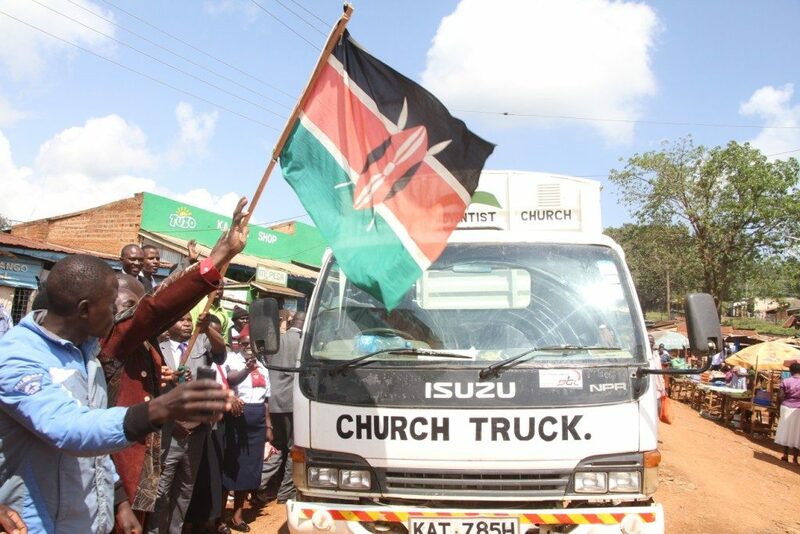 He was speaking at Ranen Center in Awendo sub-county where the SDA church flagged off a consignment of food to Turkana. Worshipers from the region donated 200 bags of maize and 20 bags of beans to assist starving Kenyans in Turkana.